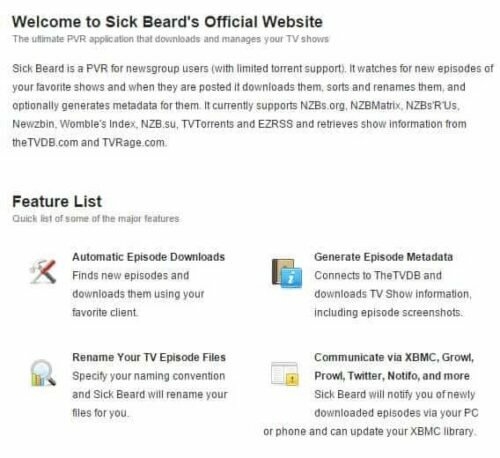 This post is a basic comparison of CouchPotato vs SickBeard or similar TV Show PVR software such as SickRage and Sonarr, for beginners. A lot of newbies who hear these words can be extremely confused about what they mean and what are they used for. This can be overwhelming to someone who is trying to build and setup a home server. Right off the bat, SickBeard, SickRage, and Sonarr (aka NzbDrone) do the same thing while CouchPotato does something different. So in essence, comparison of CouchPotato vs SickBeard can be considered the same as CouchPotato vs SickRage or CouchPotato vs Sonarr. Eventhough SickBeard, SickRage, and Sonarr do the same thing, they are slightly different and we have already presented SickRage vs SickBeard and SickBeard vs Sonarr. For some this may be a silly comparison, but for the sake of newbies let us look at the difference between SickBeard and CouchPotato. Downloading HD content definitely requires a good unlimited Usenet account. We recommend unlimited plans from Newshosting, NewsDemon, or Astraweb. All currently offer over 2000 days of retention, secure SSL connections, and unlimited bandwidth unlike some of the other Usenet providers. CouchPotato is a must have app for any automated home server or a media center. SickBeard, SickRage, and Sonnar (or NzbDrone) fall into the same category. They are also PVRs for Usenet and Torrents but unlike CouchPotato, they watch for new episodes of your favorite shows and when they are posted they download, sort, rename, and organize them. They will also automatically download all metadata such as episode description, thumbnail, etc. that make your media center look pretty. You only need to have one of SickBeard, SickRage, or Sonarr. To to make a choice, you may read our comparison of SickBeard vs SickRage and SickBeard vs Sonarr. CouchPotato vs SickBeard is not the right question to ask as they are actually apples and oranges. However, you may ask yourself SickBeard or SickRage or NzbDrone as all three do the same thing and you only need one of them. Once you decide which ones to install, you may refer to our installation guides on CouchPotato (Ubuntu/Windows), SickBeard (Ubuntu/Windows), SickRage, or Sonarr. You may also choose to use our famous AtoMiC installers that automate the installation process. 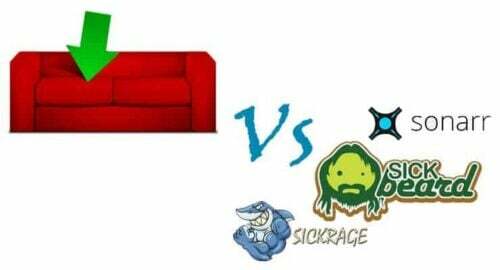 Once again, this is a very basic comparison but hopefully it provided you a primer on CouchPotato vs SickBeard, SickRage, or Sonarr and eliminated at least some of your confusion.